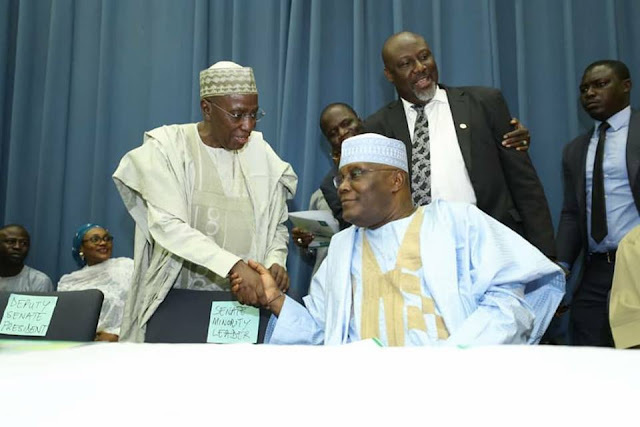 Some hours ago, the Peoples Democratic Party (PDP) formed a new alliance with other political parties in the country including African Democratic Congress (ADC), the Reformed All Progressives Congress (R-APC) and 36 other political parties as a Memorandum of Understanding (MOU) was signed in a grand alliance ahead of the 2019 general elections. 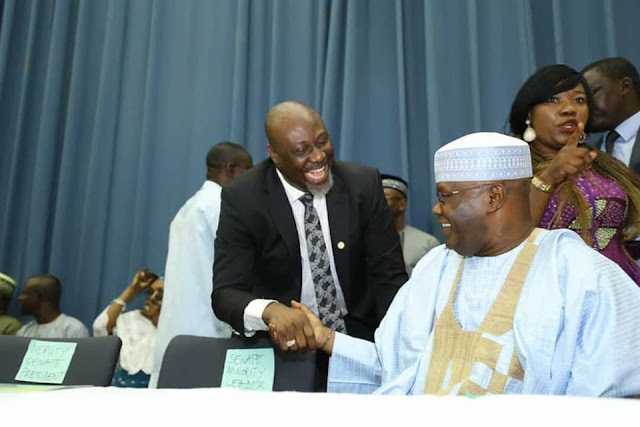 Dino Melaye, the Senator representing Kogi west who recently announced his defection from the All Progressives Congress (APC) was seen in a cheerful mood with PDP presidential hopeful; Atiku Abubakar, R-APC Chairman; Buba Galadima, PDP National Chairman; Uche Secondus, among other political figures. 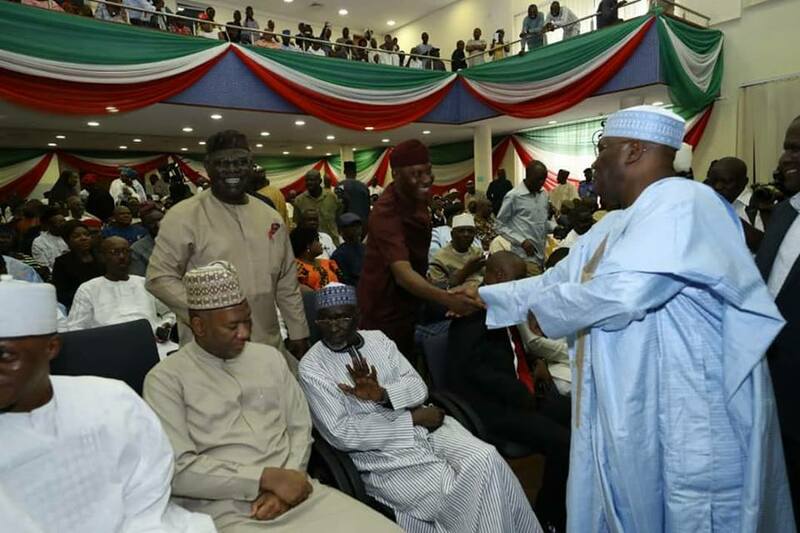 The sole agenda is to produce a Presidential candidate capable of winning the election and enthrone a new government in 2019. The parties in the grand alliance include National Conscience Party (NCP), National Unity Party (NUP), Action Alliance (AA), Better Nigeria Progressive Party (BNPP) amongst others.